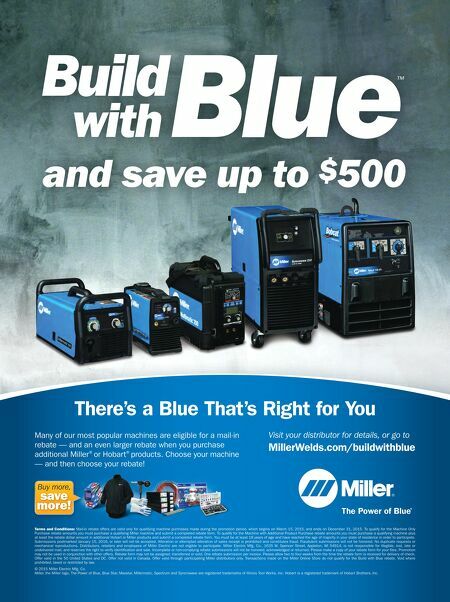 Ask your distributor for details, or go to MillerWelds.com/buildwithblue Visit your distributor for details, or go to MillerWelds.com/buildwithblue Buy more, save more! Many of our most popular machines are eligible for a mail-in rebate — and an even larger rebate when you purchase additional Miller ® or Hobart ® products. Choose your machine — and then choose your rebate! There's a Blue That's Right for You and save up to $ 500 ™ Terms and Conditions: Mail-in rebate offers are valid only for qualifying machine purchases made during the promotion period, which begins on March 15, 2015, and ends on December 31, 2015. To qualify for the Machine Only Purchase rebate amounts you must purchase a qualifying Miller machine and submit a completed rebate form. To qualify for the Machine with Additional Product Purchase rebate amounts you must purchase a qualifying machine plus at least the rebate dollar amount in additional Hobart or Miller products and submit a completed rebate form. You must be at least 18 years of age and have reached the age of majority in your state of residence in order to participate. Submissions postmarked January 15, 2016, or later will not be accepted. Alteration or attempted alteration of sales receipt is prohibited and constitutes fraud. Fraudulent submissions will not be honored. No duplicate requests or mechanical reproductions. Distributors, retailers and employees of Miller Electric are not eligible to participate. Miller Electric Mfg. Co., 1635 W. Spencer Street, Appleton, WI 54914, is not responsible for illegible, lost, late or undelivered mail, and reserves the right to verify identification and sale. Incomplete or non-complying rebate submissions will not be honored, acknowledged or returned. Please make a copy of your rebate form for your files. Promotion may not be used in conjunction with other offers. Rebate form may not be assigned, transferred or sold. One rebate submission per invoice. Please allow two to four weeks from the time the rebate form is received for delivery of check. Offer valid in the 50 United States and DC. Offer not valid in Canada. Offer valid through participating Miller distributors only. Transactions made on the Miller Online Store do not qualify for the Build with Blue rebate. Void where prohibited, taxed or restricted by law. 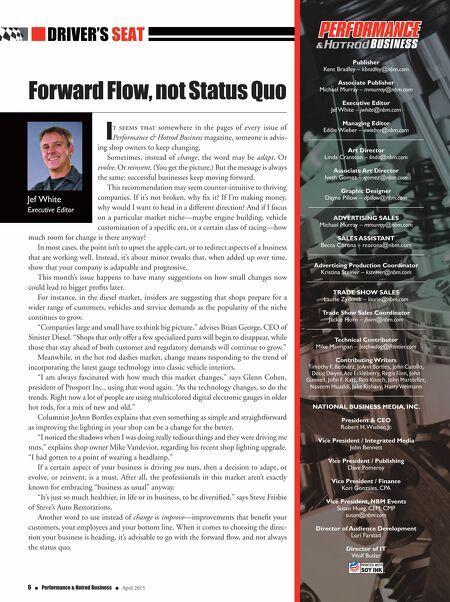 © 2015 Miller Electric Mfg. Co. Miller, the Miller logo, The Power of Blue, Blue Star, Maxstar, Millermatic, Spectrum and Syncrowave are registered trademarks of Illinois Tool Works, Inc. Hobart is a registered trademark of Hobart Brothers, Inc.